At the core of our our commitment to provide you and your family a comfortable and pleasant experience are a dedicated team of professionals who each make our Simi Valley dental practice into a collective family! Our array of skills can accommodate patients with many needs! Please know that we are here to provide outstanding patient care and sincerely value the trust that you have placed in us. Make sure to contact our family dentists in Simi Valley if you had any questions or would like to schedule an appointment with Dr. Tokuyama and Dr. Hansen! Nikki grew up right here in Simi Valley. 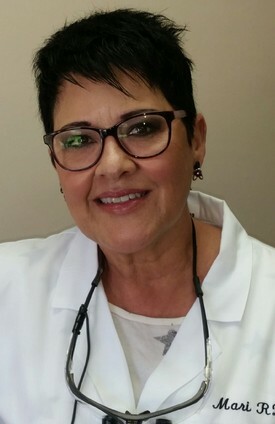 She has worked in the dental field for over twenty years. As Dr. Tokuyama's office manager, she is always ready to help her patients with appointments, treatment planning, and insurance questions and information. In her free time she enjoys spending time with her husband, daughter, and son. Nikki especially looks forward to her annual camping trips in Yosemite National Park. Eleni is Dr. Hansen's office manager and receptionist. She grew up in Thousand Oaks and has been in the dental field many years. She started in 1992, working as a chair side assistant and over time transitioned to the front office. She is knowledgeable and friendly and happy to help patients by scheduling appointments, explaining treatment, exploring financial options, and billing insurance. In her free time, she enjoys spending time with family and traveling especially to Greece to visit her father. Eleni is happy to help patients when they call or visit or office. Angie has lived in the Conejo Valley for most of her life. She has been a wonderful part of our team for 24 years. If you hear laughter in our office, its probably Angie, she loves to laugh and enjoys being with our team. Early in her career, she worked for 13 years at a Southern California pediatric dentist, as a Registered Dental Assistant and an office manager. She worked for 12 years at a general dentist in Encino. For the past 24 years we had the pleasure of having her work as a part of our team. She has worked both in the back office as a Registered Dental Assistant and now she works in the front office as a receptionist and hygiene coordinator. Angie loves her job and enjoys all of our patients. In her free time, Angie enjoys spending time with her family and friends, traveling and cooking. She is a member of The Assistants League of Conejo Valley. Pam was raised on the central coast of California. She graduated from the University of Hawaii School Of Dental Hygiene. 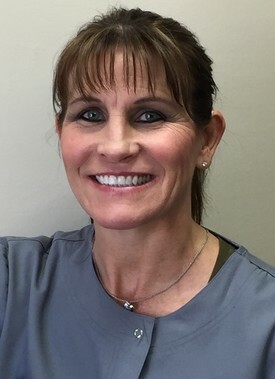 She is a National Board Certified Hygienist and has been licensed and worked in three states during her career. She has been a member of our team for more that 27 years, providing professional and gentle care. 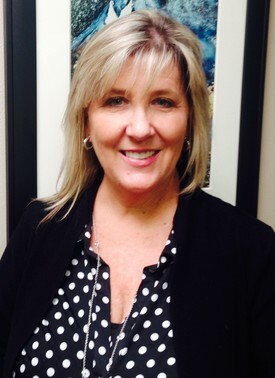 An avid golfer, Pam also enjoys spending time with her family and traveling. She has visited more than thirty states and twenty-one foreign countries. Mari's childhood was spent growing up in Puebla, Mexico. She attended Benemerita Universidad Autonoma de Puebla where she received a Bachelors of Science in Pre Dentistry. 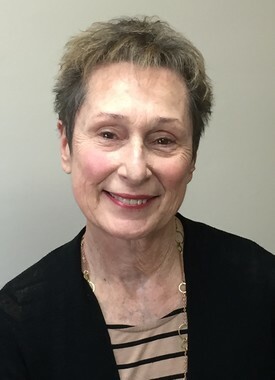 Mari moved to the United States in 1983 and worked as an RDA for ten years, after which she decided to go to hygiene school. She received her Bachelors of Science in Hygiene from the University of Southern California. 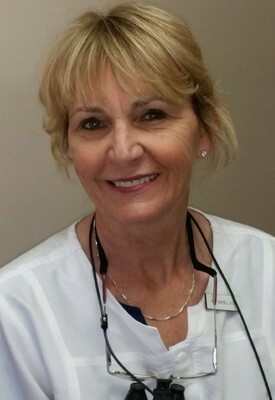 Mari has genuinely enjoyed being a hygienist for the past twenty-two years. She is fluent in Spanish and English, and even speaks some French. She prides herself on the ability to gently, but seriously convey to her patients the importance of oral health. 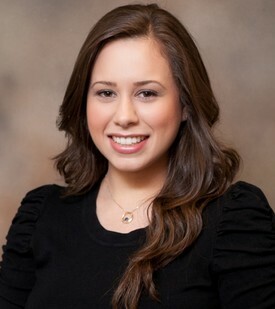 She is ready to help you achieve your dental goals in a team approach with both Dr. Tokuyama and Dr. Hansen. In her free time she enjoys spending time with her family and friends. Sara graduated from West Los Angeles Dental Hygiene program, where she completed clinical training through UCLA, the Veteran's Affairs Hospitals, and other health organizations. She is passionate about learning patients' specific needs, and helping meet those individually. She is committed to helping you achieve a healthy, beautiful smile. Yvonne has been an RDA at our office for twenty-two years. She has a huge passion for dentistry and patient care. Prior to working here she served in the U.S. Navy for five years and saw the world. Outside of the office, she enjoys spending time with her husband and two daughters. Working out and camping keep her life balanced. Her motto is, "One life...Make It Happen!" 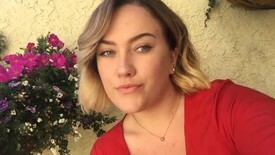 Brittany grew up in Simi Valley. She graduated from Everest College in dental assisting, and has been an RDA at our office for five years. She is enthusiastic about the field of dentistry and making sure our patients always feel welcome and comfortable. Outside of work she enjoys spending time with her family and friends. She appreciates all outdoor activities, especially rock climbing. 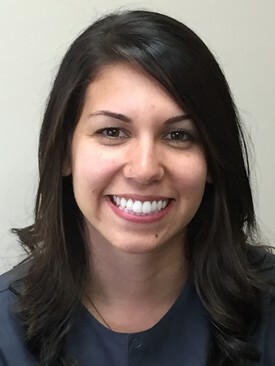 Kara is a dedicated member of our dental assistant team. She attended the Honors Dental Assistant Program at the Career Education Center in Camarillo in 2016-2017. Proving her exceptional ability at the school, she was awarded The Dental Assistant of the Year Award for outstanding work and citizenship. She is a warm and energetic person and has genuine care for each and every patient. Outside of the office she is enrolled in college and is pursuing an education path toward a career in dental hygiene. In her free time, she enjoys painting, hiking and spending time with family. Angel is a caring member of our dental assisting team. She graduated Everest College with a degree in dental assisting. She loves being a dental assistant and her goal is to provide the highest possible quality of care. She wants every patient to have a gentle and relaxing dental care experience. She leaves every patient with a smile and the understanding that every time they return they will be well cared for. Outside of the office, Angel's biggest loves are her football playing son Jack and her four beautiful rescue kitties. When you meet Angel, you will realize that her name fits her perfectly.